It is quite common in 2018 for ecommerce sites to have a great site visitor volume but a sales conversion rate that is extremely low. Those of us in business know that it’s all about the numbers. However, data shows that the average ecommerce site has a conversion rate of less than 2%. The top 25 percent of ecommerce sites on the web average nearly 4% while the top 10 percent are averaging over 6%. So how can you get your site performing like the top sites on the web? Implementing the same types of sales tactics for in-person sales into your website. A salesman who doesn’t make a professional presentation will have trouble closing the sale. A flashy business card with a hand written brochure would not impress. One-to-one relevancy is now the expectation upon shopper site arrival. Their ecommerce purchase funnel must match their site path landing experience. Assume a customer persona, search for an item and go through each and every step of your ecommerce path to purchase to ensure that you have brand continuity and relevancy throughout. These are often the easiest items to resolve making them number one on the list of essentials for improving ecommerce conversion. It’s hard for a salesman to make a sale to someone they don’t know. It often takes years to build up a client list through word of mouth. Quickly establishing trust must be considered mission critical. Small things like spelling errors or low quality iconography and product shots erode trust instantly. These are easy fixes too in many cases. The more challenging to create and maintain trust is to include reviews and testimonials in a balanced way. Today’s buyer knows that 100% satisfaction or only 5-Star ratings are highly unlikely in any product or service experience. Don’t shy away from the negative reviews, embrace and respond to them quickly to demonstrate your high sense of urgency and customer satisfaction. Having an experienced ecommerce partner manage this aspect can often be the most viable and impactful solution. Ever purchased a car? The sale is not over when you agree to buy the vehicle. While you are going over the terms of your loan you are being offered extended warranty and other add-ons that can really ramp up the total profit of the sale for the dealership. 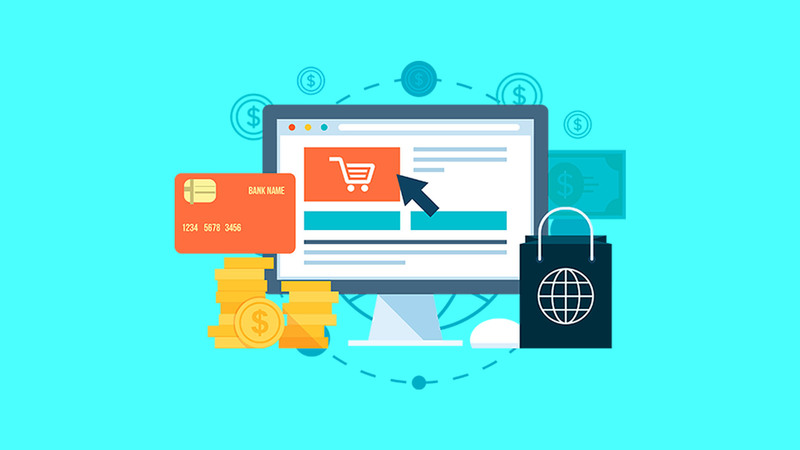 Often referred to as the value chain creator, the ability to recommend relevant value-add products or services based on the selection of a first item, or known visitor persona is today a ubiquitous feature of trusted, high-conversion ecommerce experiences. Ensuring that it’s dialed in with the right settings and triggers is essential. Promotions, coupons, free-shipping and price adjustments are just a few of the tools in your kit to experiment with. The underlying rationale is to create a sense of urgency or fear of missing out that is consistent throughout the purchase path from research and discovery to cart, check-out and post purchase advocacy. Shop your competitors, and other companies outside of your vertical – subscribe to their promotions both on and offline and follow through to map the purchase journey. Provide your customers a way to talk to a real person. Once considered taboo in the ‘new age of digital transformation’ is now one of the simplest and overlooked opportunities to improve ecommerce conversions – highlight a real phone number and note that it will enable the customer to immediately connect with a live person. Ground-breaking stuff! Add in live chat, or even (good) AI bot chat for simple requests to catch people at the right time in the purchase path based on tripwires or triggers, or simply be there to answer a question rather than directing them to an FAQ. We all like choice. Add this to your essentials for review and optimization of your ecommerce experience. Perhaps one of the less obvious essentials to increase ecommerce conversion is to be ruthless with removing friction at cart. It starts with ensuring that adding, removing and even multiplying items within the cart is seamless and that “Add to cart” and “Checkout” buttons are always visible – even when “Continue Shopping” is selected. Too often these unintentionally are hidden. Ensure you provide the ability to checkout as a “Guest”. Guest Check-out can account for more than 50% of ecommerce website conversions. Avoid purchase friction by adding this feature as an option. And of course, ensure you have a test/refine methodology with your cart abandonment software. Win-backs can be the difference between a make-or-break of a sales campaign. Site visitor memory, where your site recalls where your customer was in their purchase cycle and then guides them back to that destination from an email or retargeting ad without any friction is today a reality and therefore one of the essential items to consider when you’re looking to optimize your ecommerce conversion rates. Conversion optimization for ecommerce is certainly not a set-and-forget marketing item on the annual plan. It requires nurturing. Constant testing, refining and reimagining. At RiotAct Studios we partner with our clients to provide long term managed solutions to keep your website on the cutting edge. If you are interested in finding out what we can do for you, tell us about your project and we will set up a free consultation and estimate.